Emma Marcegaglia has been President of BusinessEurope since July 2013. Ms Marcegaglia is Chairman and Chief Executive Officer of Marcegaglia Holding S.p.A., and Vice-Chairman and Chief Executive Officer of the subsidiary companies operating in steel processing. She is also Chairman and Chief Executive Officer of Marcegaglia Investments Srl, the holding company of diversified activities of the group. Chairman of ENI since 8 May 2014. Furthermore, she is on the board of directors of the following companies: Bracco S.p.A., Italcementi S.p.A and Gabetti Property Solutions S.p.A.
Mr. Jiang Zengwei, who began his career in August 1968, serves as Chairman of the China Council for the Promotion of International Trade (CCPIT) and the China Chamber of International Commerce (CCOIC) since 2014. Mr Jiang is a native of Longkou of Shandong Province. He was born in May 1953, and joined the CPC in November 1971. He graduated from Foreign Language Department of Heilongjiang University and received a Doctor’s Degree of Science and Technology in China University of Mining Technology. Mats Harborn was the first Scania representative in China and set up its first representative office in 1985. In 1992 he left Scania to work for Svenska Handelsbanken and later the Swedish Embassy and the Swedish Trade Council in China. In 2003 Mr Harborn re-joined Scania China as General Manager. In 2007 Scania was the second foreign automotive manufacturer to be granted the status of wholly owned brand importer of automotive into China. He was one of the founders and is still a member of the advisory board of the Scania Higer luxury coach venture, which is one of the few successful Sino-foreign CV cooperation projects and has now entered the 12th year of existence and has reached all-time high in sales, quality and delivery precision. In 2010, he took up the position of Executive Director of the Scania China Strategic Centre, which works with long term business development in China including legislation of the CV industry in China. As an industry Thought Leader, he has introduced several new ideas to China such as the ton km concept, Total Operating Economy, truck culture etc, and has been one of the key drivers of the revision of the GB1589. He is an expert in transport optimization and is the working Chairman of a transport operation in China. He served as Vice President of the European Chamber from 2013 to 2016 and is the Chairman of the ACEA CV board in China as well as vice president in Asia for the international High Capacity Transport forum: IFRTT. Mats Harborn is fluent in Chinese and has over the years delivered hundreds of lectures on various aspects of transports and business life in this country. He is also the author of a number of China-related articles and has had four books published in China. Mr Haakma is a lawyer, former career diplomat and an expert in a.o. the field of trade and investment promotion. He was from 1978 assigned to a number of Dutch Embassies abroad (Rome, Lusaka, Bonn, Jakarta). From 1997 until 2002 he served as Consul-General in Hong Kong/Macao and from 2002 until 2006 as Consul-General in Shanghai. In 2006 he was appointed Managing Director of the Netherlands Foreign Investment Agency. In September 2007 he moved to the private sector and was appointed Global Executive Director Business Development of the TMF Group BV in Amsterdam. Mr Jochum Haakma is also on the Board of several business organisations and Chairman of the Executive Board of the Netherlands Council (NCH) for Trade Promotion, Chairman of the China Business Council of the NCH and former Chairman of the China Group of HFC (Holland Financial Center), Advisory Board Member of ChinaLux. He is a frequent guest speaker or commentator in the media on Far East related affairs and is former Chief Advisor Public Affairs European Region for Huawei. After receiving the Master Degree, Dr. CHEN Han started to work in Shanghai Metal Exchange as the Deputy Head of Research Department in 1993. After the visiting work in Salomon Smith Barney in Hong Kong, Dr. CHEN Han came back to Shanghai and worked as Head of Strategic Planning, Deputy Head of Research, Senior Director of Strategic Planning Department and Senior Director of Financial Futures Business Department at Shanghai Futures Exchange between 1993 to 2005. Thereafter he worked at China Financial Futures Exchange for 10 years, where he became the Executive Vice President at CFFEX. Philippe Varin, 64 years old, is a graduate of the Ecole Polytechnique and the Ecole des Mines de Paris. He began his career in 1978 as a researcher for the Pechiney Group and later held various executive positions within the Group (Financial control, Strategy, Head of Aluminium Dunkerque project). He was appointed Director of the Rhenalu Division in 1995, then Managing Director of the Aluminium Sector and member of the Group’s Executive Committee in 1999. In 2003, he joined the Anglo-Dutch steel group Corus as Chief Executive Officer, and in 2007 he was also appointed to the Board of Tata Steel. He was appointed Chairman of the Managing Board of PSA Peugeot Citroën in June 2009. He left the Group in June 2014. 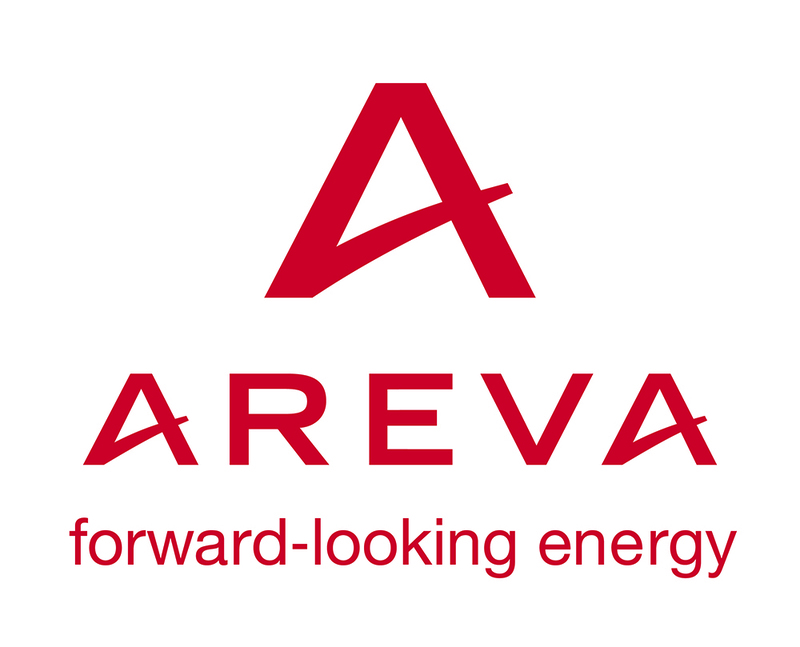 He is currently Chairman of the Board of Directors of AREVA. – Member of Executive Board of ICC. – Special Representative of the French Minister of Foreign Affairs and International Development for ASEAN countries. Philippe Varin is Officer of the French Legion of Honour and Chevalier of the National Order of Merit. He is also Commander of the British Empire. Mr. Chen Feng, Chairman of HNA Group, was born in June 1953. He graduated from Lufthansa College of Air Transportation Management in Germany in 1984, being awarded government special allowance approved by the State Council in October 1994, getting MBA degree from Maastricht School of Management in the Netherlands in 1995 and the advanced studies of senior management from Harvard University in 2004. Mr. Chen Feng has been nominated as the representative of 16th, 17th and 18th national congress of CCP as well as national committee Member of the 10th and 11th Chinese People’s Political Consultative Conference (CPPCC). He has been awarded with honor of National Model Worker, The Best Business Leader in Asia, The Stars of Meritorious Service – 60 Entrepreneurs in 60 Years of New China and Advocate of Overseas Sustainable Development of Chinese Enterprises. Mr. Lin Chuxue is a professorate senior engineer. He received Bachelor’s degree in Electric Engineering from Zhejiang University, and MBA degree from School of Management, Stirling University. He served for China CITIC Group from 1982 to 2002, a series of posts such as Executive Vice President and Board Director of CITIC Securities Company, Deputy Director of Finance Department and Director of IT Department of CITIC Group, Chairman of Supervisory Board of CNOOC-CITIC Trust and Investment Corporation. From 2004 to 2007, Mr. Lin served as Independent Director of the Board of China Merchants Bank. In January, 2002, he transferred to China Three Gorges Corporation as Executive Vice President. He has also served as Vice President of International Hydropower Association and Vice Chairman of Chinese National Committee on Large Dams. His current major responsibility in China Three Gorges Corporation covers human resources management, international business, and communication with hydro and environment related international NGOs. He has been CEO of CTG International since 2011. Alex joined BT in 1988 as an engineer building business solutions for large enterprise customers. He has held various senior roles across the BT Group business in sales, marketing, strategy, portfolio, product and cross business policy management. Alex was formally appointed Vice President of Regulatory Affairs for BT Global Services (BTGS) in January 2014. BTGS is the managed networked IT services business, public sector and international division of BT plc. It supplies network and ICT services to 5,500 organisations through 17,000 employees. Alex currently leads a matrix team of regulatory affairs specialists based in the UK, mainland Europe, Latin America, USA and Asia and is responsible for execution of BTGS regulatory strategy, policy and operations globally. The responsibilities for BT Global Services business focus on a range of activities from regulatory policy & strategy, Global product and bid assessments for global communication services, regulatory disputes & anti-trust as well as being proactive in key areas of regulatory advocacy. Alex graduated from the University College London (UCL) with a Master of Science Degree (Distinction) in Telecommunication Business. He currently lives in the UK with his wife Marilyn and his interests outside of work include art, photography and music as well as being a passionate Arsenal football club supporter. James Li Jianhua joined Didi Chuxing in August 2015 as the Chief Development Officer. As the world’s leading one-stop mobile transportation platform, DiDi provides a full range of mobility services to about 400 million users in over 400 Chinese cities, including Private Car Hailing, Taxi Hailing, Hitch, Bus, Test Drive, Chauffeur, Enterprise Solutions and Car Rental. The company is committed to helping Chinese cities meet transportation, environmental and employment challenges by leading a big-data technology revolution on the global front. DiDi was named as one of the World’s 50 Smartest Companies by MIT Technology Review, and was on the Fortune’s Change the World List in 2016. DiDi is also a Davos Growth Company. Prior to DiDi, Dr.Li had served five years as diplomat, the press officer and spokesman of the Chinese Embassy in the United States. During his long career with the Central Government of China, Dr.Li took part in the drafting of government white papers and key legislations on Internet governance, as well as consultations and negotiations with counterparts from the United States, the European Union and others. James obtained a Ph.D. degree from Renmin University of China at the age of 27. He also holds LLM degrees from Zhejiang University and University of Warwick. James was a recipient of the Chevening Scholarship from the British Council in 2000. Mr. Bagnasco is Managing Partner of Progetto CMR (Beijing), an Italian architectural and urban planning design Company ranked into the top 100 worldwide firm. He got a Master degree in Urban Planning and a bachelor degree in Architecture at the University of Genoa. He is operating in China since 2004. Mr Bagnasco has been actively involved in the European Union Chamber of Commerce in China (EUCCC) since his arrival in China. Since 2008, he has alternatively covered positions of Chairman and Vice Chairman of the Construction Working Group. Recently he has been focusing on the EU SME sector. Since 2013, he was elected as Italian State Representative in the Supervisory Board of the EUCCC. In 2014, he became Member of the Chamber Executive Committee. He has been involved in the preparation, implementation and development activities of the EU-China Sustainable Urbanization Partnership. Mr Bagnasco is also one of the four European experts, members of the Taskforce in charge of the EU-China Innovation Cooperation Dialogue framework agreement promoted by DG-RTD and MoST. Dominique Ristori has been working in the European Commission since 1978 where he has held several positions. Prior to his current position, he was Director- General of the Joint Research Centre (JRC) (2010-2013). Between 2006 and 2010 Dominique Ristori was Deputy Director General of the Directorate General for Energy. Whilst Director in charge of General Affairs and Resources at Directorate-General for Energy and Transport, he was responsible for interinstitutional relations; enlargement and international relations; coordination of energy and transport research; internal market, state aids, infringements and public service obligations; passengers’ and users’ rights; central management of human and budgetary resources (2000 – 2006). Between 1996 and 1999, he was Director in charge of European Energy Policy at Directorate-General for Energy. Dominique Ristori played an important role in the preparation and adoption process of the 2 first Directives on the Internal Market for gas and electricity. He launched also successfully the Firenze and Madrid Forum for electricity and gas at the origin of the Regulation process in the Energy Sector. In the period of 1990 – 1996 Dominique Ristori was in charge of transnational cooperation between SMEs at the Directorate-General for Enterprise policy. Dominique Ristori graduated from the Institute of Political Studies of Paris (1975). Prior to the current position, Mr. Chen has served as Executive Vice President and Chief Accountant of GP Power Development Co. Ltd., the largest listed power generation company in China. Mr. Chen graduated from North China Electric Power University with master degree of business administration. He is certified as Senior Accountant. Emmanuel Tuchscherer is currently Director for European Affairs at ENGIE Group. He joined the company in 2015 after having held a broad range of positions within the French civil service, in the field of Human Resources, State Reform, International and European Affairs. He has been diplomatic advisor to the Speaker of the National Assembly and Deputy Head of Cabinet of the Minister for European Affairs. Emmanuel Tuchscherer is a graduate of the Ecole Nationale d’administration, the Ecole Normale supérieure and Sciences Po Paris. He holds an agrégation in philosophy. Dr. Xianzhang Lei, Director General of European Representative Office of State Grid Corporation of China, and also the Managing Director, SGRI Europe GmbH of State Grid Corporation of China. He received Ph.D from Technische Universität Berlin in Germany and continued his Post-Doctor at Yale University in USA. Afterwards he joined with Siemens AG in Germany. Since 2010 he works with State Grid Corporation of China in Beijing and in Frankfurt. Graduated from ESCP business school (Ecole Supérieure de Commerce de Paris) in 1982, Vincent Mages has been working in the publishing sector with international sales responsibilities before joining Lafarge in 1988. Within Lafarge, Vincent Mages has occupied various positions in France and in Japan, in the cement, in the aggregates and in the gypsum activities, in marketing business development and strategy. Before becoming the Climate Change Initiatives VP in October 2006, Vincent Mages was Group Internal Communications VP. Mr. Colin Yang joined the company in April, 2010. He is the Chief Branding Officer of Trina Solar and leading the branding and Public Affairs team of the company. He had twenty year diplomatic experience including his service in the Chinese Embassy in Thailand and the Chinese Consulate General in San Francisco. He had over ten year experience of corporate public affairs including his service as the Director for Government Communication of Cisco Systems (China) and Vice President for Government Affairs of Siemens (China). The area of responsibility in this role is achieving overall revenue (nearly 2 billion euros), as well as developing the organisation and practices of sales to meet the demands that are key for each market in the fastly changing global environment. Digital solutions and capabilities will be a focus area where sales practices can be developed over the upcoming years. As part of the Commercial Management team, our focus is to continue to develop the commercial strategy, as overall Finnair direction and strategy with the A350 investment is built around growth and transformation. 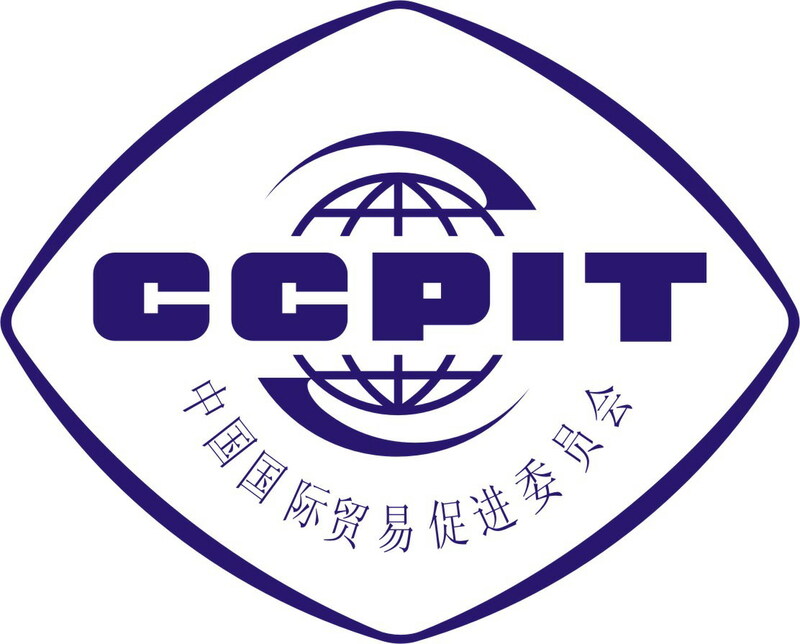 Chief Executive Officer, Director of Ctrip.com International, Ltd.
Jane Jie Sun serves as the Chief Executive Officer and a member of the board of directors of Ctrip.com International, Ltd. (NASDAQ: CTRP) from November 2016. Prior to that, she was the Chief Operating Officer since May 2012 and Co-President since March 2015, and Chief Financial Officer from 2005 to 2012. Ms. Sun is well respected for her extensive experiences in operating and managing online travel businesses, mergers and acquisitions, and financial reporting and operations. She was named as one of the most influential and outstanding business women by Forbes China and one of FastCompany’s Most Creative People in Business. During her tenure as the Chief Financial Officer of Ctrip, she won the Best CFO Award by Institutional Investor and Best CFO Award by CFO World. Prior to joining Ctrip, Ms. Sun worked as the head of the SEC and External Reporting Division of Applied Materials, Inc. since 1997. Prior to that, she worked with KPMG LLP as an audit manager in Silicon Valley, California for five years. She is a member of American Institute of Certified Public Accountants and State of California Certified Public Accountant. Ms. Sun received her bachelor’s degree from the business school of the University of Florida with high honors. She also attended Beijing University Law School and obtained her LLM degree. Frank Geerkens is Port Ambassador at the Antwerp Port Authority since September 2014. He’s been a career diplomat since 1985, having served in several diplomatic posts, i.a. as Ambassador of Belgium to the Netherlands (2011-2014), Ambassador of Belgium in Baku, Azerbaijan (2007-2008), and Consul General of Belgium in Los Angeles (2000-2004). He’s also served as Diplomatic Advisor to Belgian Prime Minister Jean-Luc Dehaene (1997-1999) and as Deputy Chief of Cabinet of the Belgian Foreign Ministers Yves Leterme and Steven Vanackere (2009-2011). Frank Geerkens has also been lecturer in International Economy and Finance at the Brussels business school ICHEC (2004-2006) and lecturer in Diplomacy at the K.U.Leuven (2004-2007). Frank Geerkens will assume chairmanship of the board of the Organization of Sustainable Business Parks in Europe (OSBE) in 2015 (being established under Dutch law). Mr. Li joined Fosun Group in 2001. He set up the group’s regional office in Beijing and established a system of Fosun’s chief representatives in worldwide. Mr. Li explores, maintains and consolidates public affairs & government resources within Fosun Group, maintaining good working relationships with all related parties for the long term, and organizes important activities and participates in major external affairs as a representative of Fosun Group. His endeavours have fostered favourable conditions for Fosun’s development in society. Mr. Li has also spearheaded Fosun’s cooperation with other parties. For instance, he initiated business projects of mixed ownership that represented shareholdings by state-owned, private and foreign companies. Mr. Li also participates in the decision-making process related to major external affairs and is responsible for carrying out the relevant plans. At the same time, Mr. Li is also in charge of the daily management of Fosun’s Beijing Office, the Public Affairs & Corporate Communications Department , the Administration Department and Fosun Foundation of Fosun Group as well as the sharing of internal resources across all the departments. Alessandro Carano follows the transport investment and financial instruments including the European Fund for Strategic Investments (EFSI) and the Connecting Europe Facility (CEF), as well as the Trans-European-Networks. Between 2014 and 2016 he was Senior Adviser to the Deputy Director General of the European Commission’s DG Economic and Financial Affairs, working on the design and start-up of the Investment Plan for the Europe to mobilize at least € 500bn by 2020, and on the External Investment Plan to mobilise € 44bn in EU Neighbourhood and Africa by 2020. 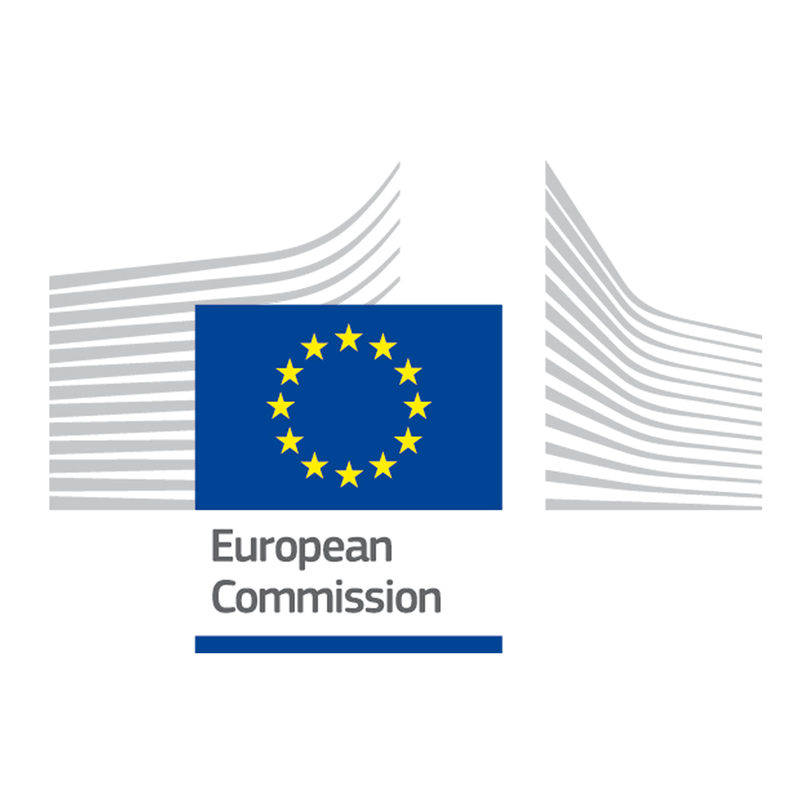 He was previously Managerial Adviser and Head of Unit at the European Investment Bank, responsible for the institutional relationship with EU Institutions and other International Financial Institutions on policies and activities outside the EU. He led the negotiations on the new EIB External Lending Mandate for the period 2014-2020, allowing up to EUR 30bn in EIB financing in support of EU external action. He worked on the Mid Term review of EIB external mandate including support to the steering committee of wise persons chaired by M. Camdessus, and the subsequent EU decision. He contributed to the establishment of the Western Balkans Investment Framework (WBIF) and other financial instruments blending grants with loans. He has also worked in the Projects Directorate of the EIB on economic and technical due diligence of projects and the quality of internal methods and processes. He worked for Procter & Gamble in several management positions for 8 years. He holds an MBA from Vlerick Management School and an Engineering MSc degree from Turin Politechnic University. Shada Islam is responsible for policy oversight of Friends of Europe’s initiatives, activities and publications. She has special responsibility for the Asia Programme and for the Development Policy Forum. Shada is the former Europe correspondent for the Far Eastern Economic Review and has previously worked on Asian issues at the European Policy Centre. She is closely involved with initiatives to promote Asia-Europe exchanges including within the context of ASEM (Asia Europe Meetings). As a journalist, Shada also worked extensively on development questions including relations between the EU and African, Caribbean and Pacific (ACP) states as well as on world trade, including the Doha Round. Shada continues to write on EU foreign and security policy, EU-Asia relations and trade and development issues for leading Asian, European and international publications. Martin Potts is the founder and director of Martel. He has a degree in Electronic Engineering and has worked previously for British Telecom Research Labs in the UK, before moving to Switzerland in 1987. He has been an active player in all of the European Commission Framework Programmes, starting even from the so-called “RACE Definition Phase” in 1985, while at BT. He has recently participated in EU-China (ICT) Policy Dialogue projects and is currently coordinating the EC Horizon 2020 project EXCITING (www.euchina-iot5g.eu), which is studying the existing situation concerning research and development activities on IoT and 5G in Europe and China and making recommendations to the respective regions for practical ways of improving further the co-operation on these key technology areas for the digital economy in the future. John Scowcroft joined the Global CCS Institute as General Manager in January 2012 and took up his present post in September 2013. Prior to this, John was Head of the Environment and Sustainable Development Policy Unit at Electricity Development Policy Unit at Electricity EURELECTRIC, the association which represents the European electricity industry. In this role, John was responsible for all aspects of environmental and sustainable development policy, in particular for global and European climate policy. After a long career in the British Electricity Industry where he held a number of senior posts covering the whole range of employee relations issues, John joined EURELECTRIC’s predecessor, UNIPEDE in 1991 as a Senior Adviser responsible for environmental matters, and structural and organisation issues. In 1997, John became Head of the Environment and Sustainable Development Unit. John holds a Bachelor of Arts from the University of Liverpool.